Last Friday, Ryan and I spent a half day volunteering at a local food bank. The organization, Gleaners, is well known to the community as a provider of food to the hungry. At Gleaners Food Bank of Indiana, we solicit, store and distribute food and critical grocery products to qualifying agencies who serve the public directly. Among those agencies are food pantries—as well as soup kitchens, halfway homes and emergency shelters.The food bank is the storehouse for millions of pounds of food and other products that go out to the community. 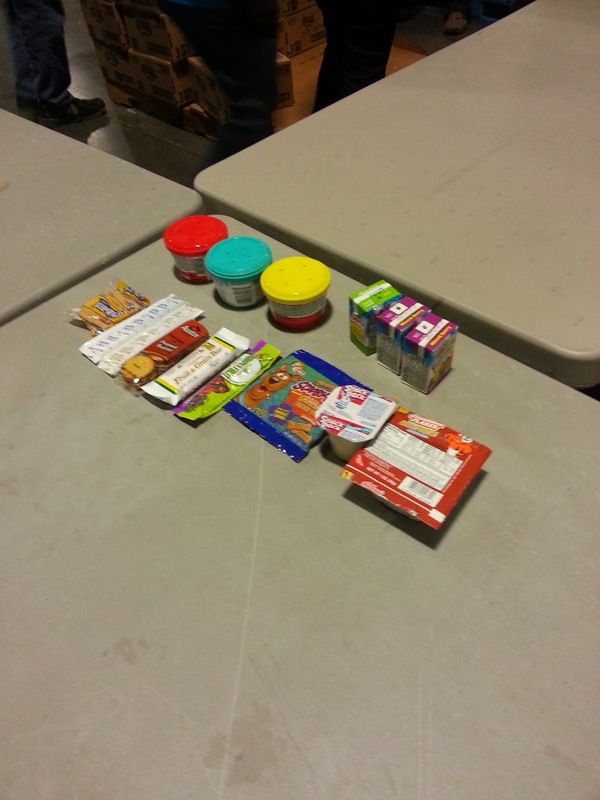 The pantry functions as the arms that reach out to that community directly. Food banks and food pantries—they are not the same. But they share the same commitment. At Gleaners, we are proud of our partnership with food pantries—and many other organizations—who act with us on the belief that nobody should ever go to bed hungry. Our financial advisor invited us to join Ameriprise agents and customers across the country in a National Day of Service; we were happy to oblige. I challenge you to watch this video and NOT feel compelled to do something to help. I never took into consideration how much food we waste at my house until I participated in assembling Backsacks for hungry kids. As a team of volunteers, we prepared over 4,200 bags containing 14 items. 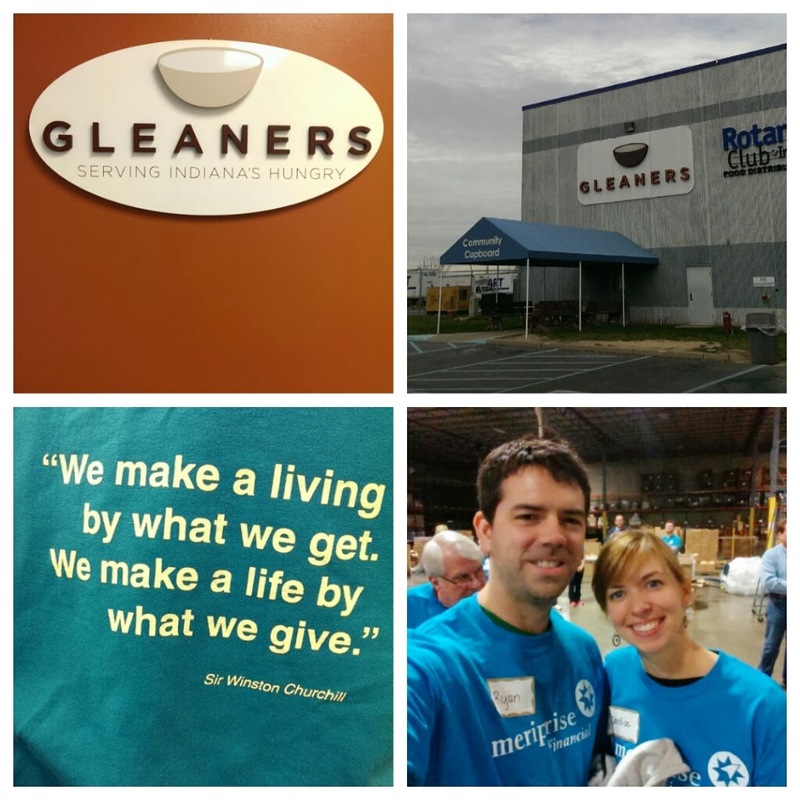 Every Friday, Gleaners distributes 10,000 bags to needy children in Indiana to keep them from going hungry while away from school for the weekend. Sadly, the items in the bag might be all that some children get to eat. I’m fairly certain we waste that much food – or more – every weekend. The sheer size and capability of the facility was mind-blowing. Gleaners runs a massive operation with just 70 paid employees. They rely solely on volunteers to assemble the Backsacks. It was an honor to be just a small part of that mission and left me longing for a bigger role in serving my community. Just having enough is something we take for granted EVERY DAY. This Thanksgiving season, I urge you to do something – anything – to give back. If you only have ENOUGH, you have so much more than millions of hungry children in your own country. More than many families in your state, your town. Your community. In a day and time where we are so wrapped up with living in excess, we all have something we can give. Time. Money. Food. Can you help?